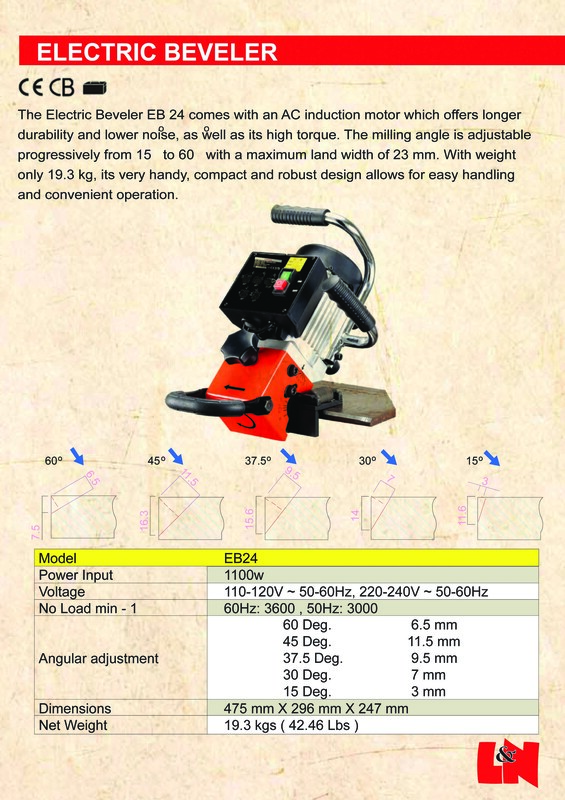 How to choose a suitable magnetic based drill machine ? What is a magnetic/mag drill? 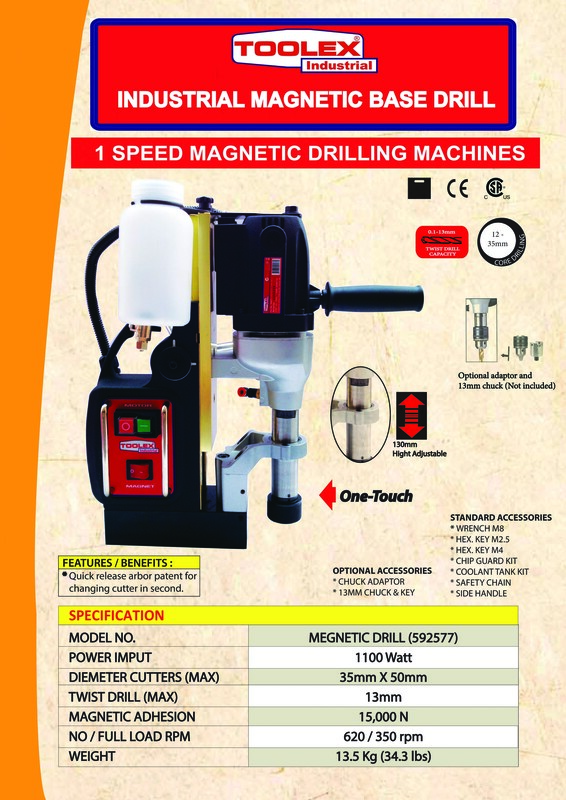 A magnetic drill is a specialized power tool used for portable drilling of structural steel on the job site or in the shop. It combines the versatility of a drill press with a strong electromagnetic base enabling it to adhere to a carbon steel (ferrous metal) surface. It can be positioned to drill horizontally, vertically or even upside down. How to use a magnetic/mag drill? 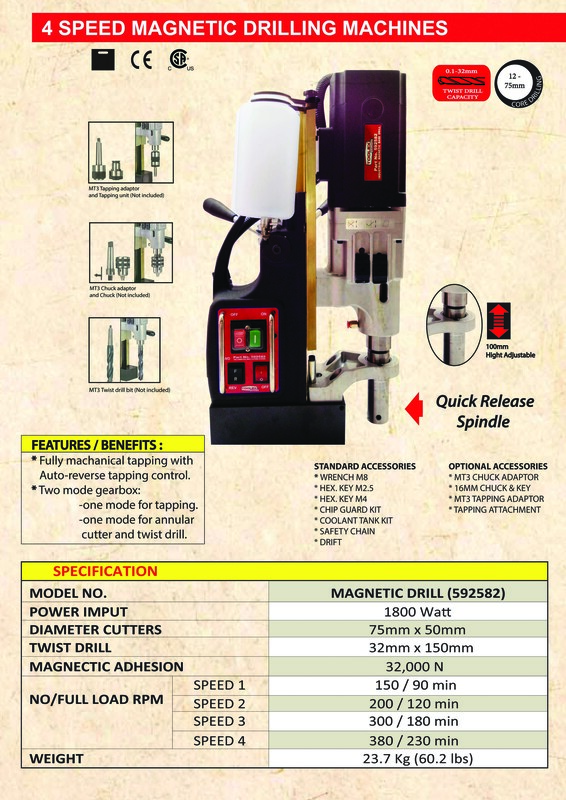 The drill is basically a mini drill press with a strong electromagnet base. It can be used to overhead drilling or on a vertical surface. The drill can be positioned to where you need the hole. You then turn the magnet on and the drill is locked in place. Magnetic drills can use a wide variety of tooling including tct annular cutters, twist drills and taps. They are extremely versatile machines that can drill a hole from 0.5mm to 75mm diameter and tap 25mm diameter in steel. Often on construction sites, holes need to be drilled on location to fit certain steel beams together properly. In these cases, the magnetic drill allows the operator to lock the drill in place and begin the drilling tasks. Heavy-duty magnets make certain the drill stays on task without incident in most cases. 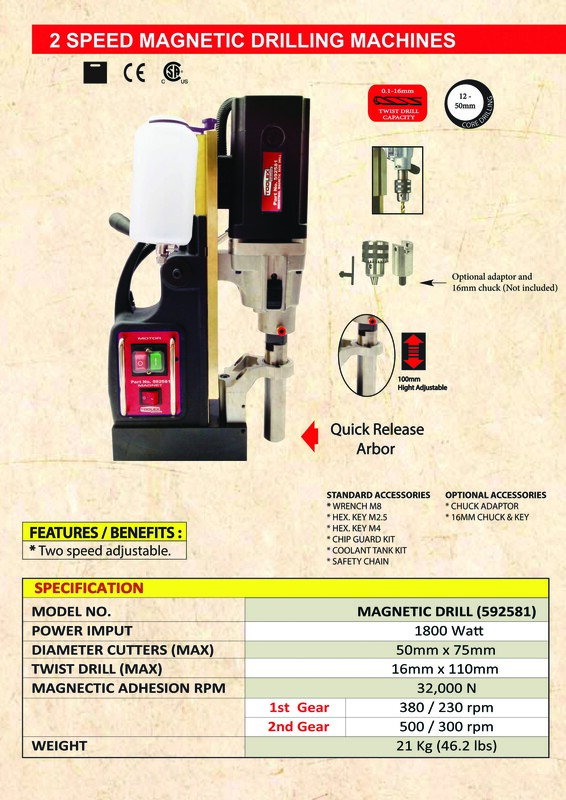 How To Choose A magnetic/mag drill? 2 questions To ask when selecting a mag drill? What is the maximum diameter hole that you need to drill? What is the thickness of the metal you need to drill? Work Environment - A lighter weight mag drill is preferred if you are working high up in the air. Space Limitations - If you are working in tight spaces the compact size mag drill may be ideal to use. ​ ​both HSS drill bit and tct/hss annular cutters.